Gorgeous Community Courtyard With A Fire-Pit And A Luxurious Club House. MLS#6124693. Re/Max Center. Bishops Gate - Home Features New Hardwood Flooring, Fresh Paint, Kitchen W/ New Quartz Counters, Designer Backsplash, Stainless Steel Appliances, All Bathrooms Updated W/ New Vanities, Tile, Toilets, Fixtures, New Led Lighting Throughout, Separate Dining Area, Spacious Bedrooms W/ New Luxurious Carpet And Fans, Private Patio Space, 1 Car Garage And Driveway W/ Apron, Community With Pool MLS#6124954. Simply List. Us News Just Ranked Alpharetta As The 2nd Best Public High School In The State!! ! MLS#6124309. Chapman Hall Realtors. 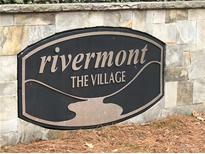 Rivermont - MLS#6055455. Nathans Realty. Fenced Yard Maintained By Hoa Steps From Downtown Alpharetta And Wills Park. End Unit! ! MLS#6123295. Atlanta Fine Homes Sothebys Intl..
Steps From Downtown Alpharetta And Wills Park. MLS#6123287. Atlanta Fine Homes Sothebys Intl..
Steps From Downtown Alpharetta And Wills Park. MLS#6123290. Atlanta Fine Homes Sothebys Intl..
Steps From Downtown Alpharetta And Wills Park. MLS#6123278. Atlanta Fine Homes Sothebys Intl..
Be The First To Own This One Of A Kind 3 Story Luxury Th With Fully Finished Walk Out Basement. Elevator Included. Hurry! Limited Supply! MLS#6122552. Mark Spain Real Estate. Fenced Yard Maintained By Hoa Steps From Downtown Alpharetta And Wills Park. End Unit! ! MLS#6121540. Atlanta Fine Homes Sothebys Intl..
Steps From Downtown Alpharetta And Wills Park. MLS#6122256. 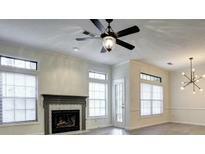 Atlanta Fine Homes Sothebys Intl..
Only End Unit Remaining! Hurry! See Now! MLS#6122135. Traton Homes Realty, Inc..
Cabinets, Stainless Steel Appliances, Tankless Hotwater, Hardwood On Main Level, Gas Fireplace. MLS#6122172. Traton Homes Realty, Inc..
Only 3 Remaining To Be Sold! Come See Today! MLS#6121535. Traton Homes Realty, Inc..
Westside Commons - Secure Access And Swimming Available At Westside Villas. MLS#6121150. Solid Source Realty, Inc.. Kitchen With Top Of The Line Appliances, Wood Floors Throughout And Shutters Installed On Every Window. 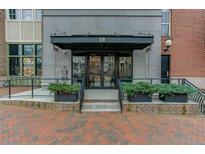 Covered Parking For 3 Vehicles.. MLS#8510523. Atl.Fine Homes Sotheby'S Int..
Westside Commons - Walking Distance To Top Golf, North Point Mall, Amphitheater, Close To Avalon MLS#6120167. Keller Williams Realty Partners. You Won'T Want To Miss Out On This One! MLS#6119194. Realty One Group Edge. Minutes From Avalon, Downtown Alpharetta & Northpoint. Ready Summer 2019. MLS#6117079. Ashton Woods Realty, Llc. Wonderful Screen Porch With Sliders Doors Off The Family Area, Perfect For Entertaining.Large Master Suite With Enormous Walk In Closet,2 Bedroom And Laundry On The 2 Floor.Finished Basement With Bonus Room, Full Bath And Bedroom. MLS#6117199. The Providence Group Realty, Llc..
Amazing Location Minutes From Avalon, Downtown Alpharetta & North Point Mall. Under Construction - Ready Summer 2019. MLS#6117085. Ashton Woods Realty, Llc. The Unfinished Basement Hold Endless Possibilities For Future Use. MLS#6117206. The Providence Group Realty, Llc..
Amazing Location Minutes From Avalon, Downtown Alpharetta & North Point Mall. Ready Summer 2019. MLS#6117061. Ashton Woods Realty, Llc. Photos From A Completed Home In Another Community. MLS#6117070. Ashton Woods Realty, Llc. Hardwoods Throughout, Chef'S Kitchen, Plantation Shutters, Quartz Counters, Gated Courtyard With Gas Stubbed For Fire And Grill, Etc. Must See! MLS#6116320. Atlanta Fine Homes Sothebys Intl..